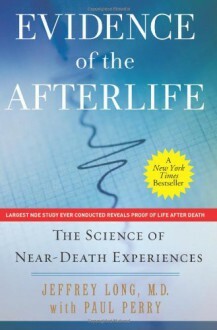 The Most Compelling Scientific Evidence for Life Beyond Death Ever Compiled Evidence of the Afterlife shares the firsthand accounts of people who have died and lived to tell about it. Through their work at the Near Death Experience Research Foundation, radiation oncologist Jeffrey Long and his wife, Jody, have gathered thousands of accounts of near-death experiences (NDEs) from all over the world. In addition to sharing the personal narrative of their experiences, visitors to the website are asked to fill out a one hundred–item questionnaire designed to isolate specific elements of the experience and to flag counterfeit accounts. The website has become the largest NDE research database in the world, containing over 1,600 NDE accounts. The people whose stories are captured in the database span all age groups, races, and religious affiliations and come from all over the world, yet the similarities in their stories are as awe-inspiring as they are revealing. Using this treasure trove of data, Dr. Long explains how medical evidence fails to explain these reports and why there is only one plausible explanation—that people have survived death and traveled to another dimension.